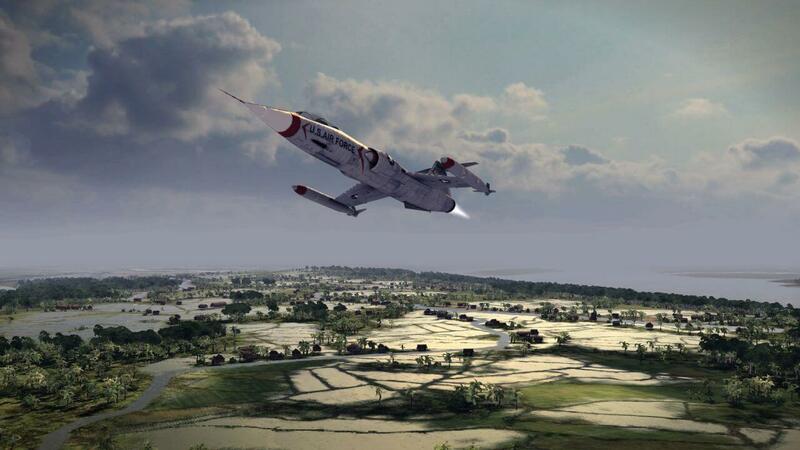 Air Conflicts: Double Pack on Sony PlayStation®4 – combining both Air Conflicts: Vietnam and Air Conflicts: Pacific Carriers in one high-octane package! 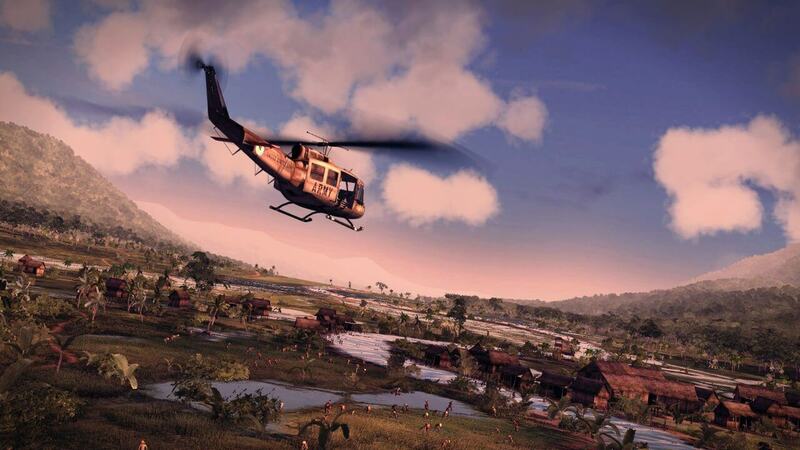 Experience an epic campaign filled with heroic moments and the harrowing effects of war. 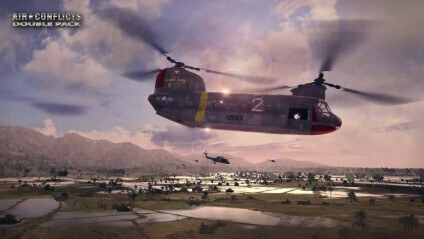 Pilot and customize more than 20 planes and helicopters, including the workhorse UH-1 Huey Iroquois, fire-breathing AH-1 Cobra attack gunships, the devastating F-4 Phantom and F104 Starfighter jets. 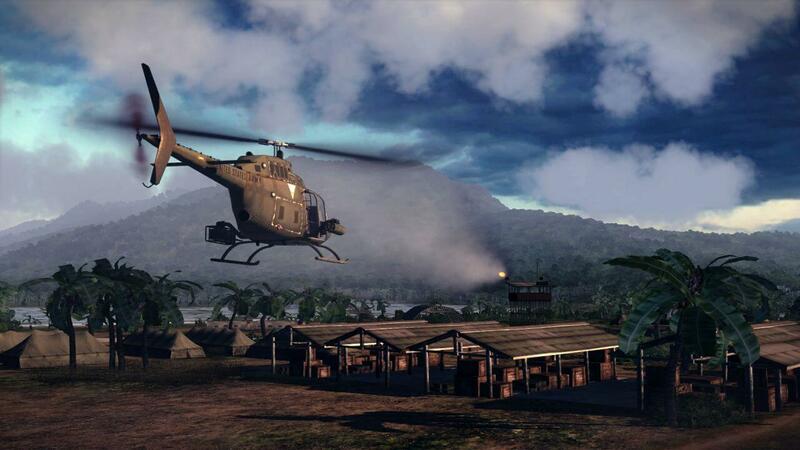 Command up to four jets or helicopters, combining their unique abilities to complete challenging objectives and earn experience. Play online with up to eight online opponents in nail-biting, fast-paced capture-the-flag, deathmatch and team deathmatch air battles. Immerse yourself fully in the atmosphere of the historical period with a rock soundtrack in the style of vintage Vietnam-era music. Experience two individual campaigns revolving around historically significant aircraft carriers — either for the US Navy or the Imperial Japanese Army. Take flight with 18 different airplanes, such as the Japanese A6M “Zero” and Aichi D3 “Val”, or the American F4F Wildcat and F4U Corsair. Command an entire squadron and switch between different types of aircraft in real time, taking advantage of their strengths to lead your unit to victory. 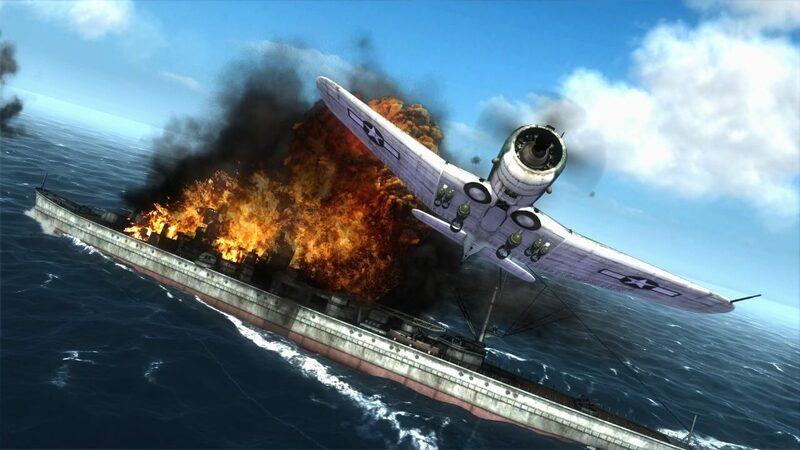 Take part in a wide variety of missions located in Midway, Pearl Harbor, and Wake Island. 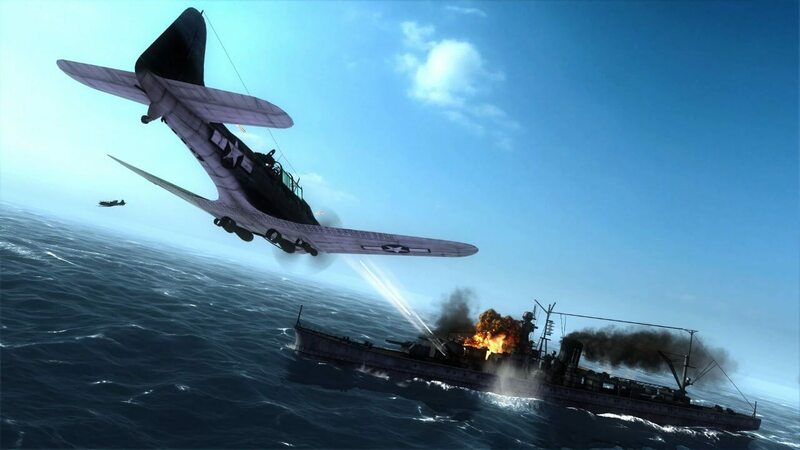 Put your flying abilities to the test in four different online multiplayer modes, including aerial and aircraft carrier battles. Seven new airplanes including the ME109, Hawker Sea Hurricane, and F6F Hellcat. Get closer to the action with head tracking through the PlayStation® Camera.